(Natural News) One of the key goals of Republicans is to limit government, end absurd regulations and set farmers free to generate economic abundance across the nation. In a stunning move led by U.S. Senate majority leader Mitch McConnell (R-Ky), the United States Senate has now passed legislation that ends hemp prohibition and would allow farmers across the nation to cultivate hemp. “The bill would legalize hemp, removing it from the federal list of controlled substances and allowing it to be sold as an agricultural commodity,” reports The Hill. This is on top of President Trump’s recent announcement that he would work to end marijuana prohibition at the federal level. 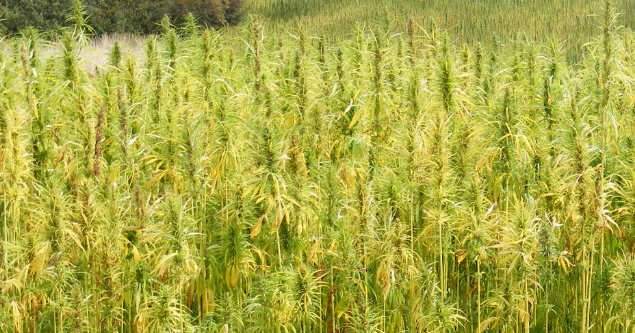 The U.S. Senate’s decriminalization of the agricultural production of hemp could unleash a golden era of economic abundance for U.S. farmers. Hemp agriculture can produce hemp seeds, hemp oils, hemp protein, hemp fiber and literally hundreds of derivative products. Currently, thanks to insanely wrongheaded hemp prohibition laws in the United States, all those products must be imported from Canada or other countries. Should the U.S. House of Representatives join the Senate in passing this legalization law, we could see a true agricultural revolution across America (and a lowering of costs of hemp products). All this activity begs the question, though: Why has it taken 80+ years to correct the massive propaganda hoax that led to the criminalization of marijuana in the first place? And how did the deep state maintain the propaganda so effectively across so many decades? Today’s Russia collusion hoax, by the way, provides a few clues: If the FBI, DOJ and left-wing media all conspire to repeat a lie over and over again, half the country will believe it. The fake news media has been lying about cannabis for almost a century, just as they continue to lie about natural medicine, herbal remedies and anti-cancer nutrition. Honestly stated, the long-held belief that marijuana makes people crazy was fake news from the 1930s. Fake news has long been pushed by the establishment to deny us all access to natural medicine that grows like weeds. And now, they’re only legalizing it because they can no longer halt the tidal wave of awakening that’s happening globally thanks to readers like you.